Embark on a journey through South Africa while staying at stunning Fair Trade Tourism accredited properties and taking part in some exciting Fair Trade Tourism approved day excursions. Spend three nights in Cape Town’s leafy Southern Suburbs at the elegant Vineyard Hotel on a bed & breakfast basis. 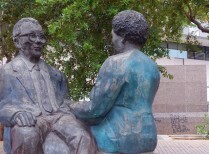 Excursions during your Cape Town stay include a scheduled Revolution Route Tour with an English speaking guide, expanding on the revolutionary struggle in Cape Town from the 60s to 90s, as well as the option of a private Winelands or Cape Peninsula guided experience with Springbok Atlas Tours & Safaris. Continue along the coast to Grootbos Private Nature Reserve, just outside Gansbaai, about a two-hour drive from Cape Town. The natural beauty of Grootbos, its unparalleled Walker Bay views and amazing fynbos conservation and community upliftment initiatives will leave you in awe. Next stop is the famous Kruger National Park for a three-night Kruger Walking Trails package experience consisting of one night at Rhino Post Safari Lodge and two nights at Plains Camp. Safari activities such as game drives and bush walks are included in this exciting safari stay. 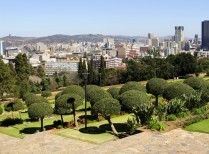 Spend the last two nights in Johannesburg’s The Peech Boutique Hotel on a bed & breakfast basis. A bicycle tour in Soweto, a South African township which the late president Nelson Mandela once called home, is included in your stay. A transfer from Cape Town International Airport will take you to the Vineyard Hotel situated in Cape Town’s leafy Southern Suburbs. As a Fair Trade Tourism certified property, the hotel pays special attention to socially, economically and environmentally sustainable practices. And since taking care of people is what they do best, they extend their passion to the less-advantaged Cape communities with their Kids of the Cape Fund, assisting various upliftment projects that provide child/youth refuge and care, education, skills training, feeding and care of the disabled. On arrival at the Vineyard Hotel with its spacious grounds and elegant ambience, you’ll want to sit back with a cup of tea and enjoy the serenity of the garden and this peaceful paradise. As a dining option, we recommend the tasting menu at Myoga Restaurant. Overnight at Vineyard Hotel. Enjoy a morning at leisure. You might want to make use of the time to venture into the city, explore the V&A Waterfront and go up Table Mountain for those uninterrupted views of the city (for own account). After breakfast you will be collected for an approximate two-hour transfer to the Grootbos Private Nature Reserve, a truly magical fynbos reserve situated near Gansbaai. Grootbos Lodge is proudly Fair Trade Tourism certified. The Grootbos Foundation, established in 2003 as a non-profit organisation, drives an array of projects, with the main objectives being community, culture and conservation, where they work to conserve the critically endangered fynbos, while also focussing on the training and skills development of the surrounding communities. 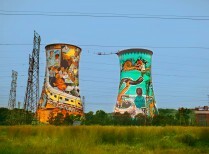 Embark on a informative tour of Soweto and the surrounding area, driving past well-known landmarks such as Chris Hani Baragwanath Hospital, Nelson Mandela’s old house and the Hector Pieterson Memorial (entrance fees included), with a quick stop at a shebeen. 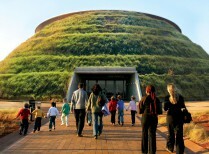 Afterwards head to the Apartheid Museum where you'll have the opportunity to explore on your own.